Not since the widespread adoption of penicillin during World War II have we seen a therapeutic paradigm shift as transformative as the current scientific and clinical revolution that is changing how diseases like cancer and rare genetic conditions are treated – and possibly cured – today. After decades and many billions of dollars invested, and unprecedented cross-discipline efforts, the era of Personalized Medicine is finally here. Cell and gene therapies are poised to become clinical mainstays. But just because the science has translated and clinical results have beat the wildest expectations and broken FDA approval records doesn’t mean these treatments will reach all eligible patients or mature – as they still must – to deliver the best possible patient outcomes. Why? The broader “system” is simply not ready. Our healthcare information systems and practices are tragically outdated and highly siloed. That’s not a surprise to anyone who has tried to transfer medical records, share x-rays with multiple physicians or track their care. But at the dawn of this new era, the prehistoric nature of health IT isn’t just a nuisance. It will literally determine whether patients and physicians can realize the potential of these new therapies — not to mention whether a potential wave of improvements and extensions will be able to build upon the breakthroughs of the first pioneers. Indeed, most of the time when we wring our hands about health IT, it is over the slow transition to electronic medical records (which are far from 100% penetrated) or the cockroach-like staying-power of the fax machine in medicine. But Personalized Medicine pushes the demands on our information systems to an entirely new level and we have to re-engineer the infrastructure. Vein to vein/needle-to-needle quality assurance: Are the cells that are collected from a patient – and engineered to be supercharged therapeutics – the same ones that are reinfused later? Real-time coordination processes and logistics for collection, manufacturing and global transportation: Can each of the unique, new processes be scheduled, monitored and tracked with appropriate alerts and actions to respond to exceptions in work-flows and get time-sensitive, living therapies to patients quickly? Reconciliation of patient eligibility and clinical response with payment and reimbursement systems: Can two-way data flows ensure right patient, right time, right outcome, right price? Long-term longitudinal window onto patient status: To ensure long-term safety surveillance, as well as data feedback to inform new research directions, can the patient be engaged over many years? Business intelligence on entirety of process: Table stakes in any other business process; can management receive the critical reports to manage personalized medicine franchises? In short, Vineti is commercializing a secure, regulatory-compliant, cloud-based, universally-configurable, multi-user Master Data Management platform that will not only facilitate commercialization of personalized therapies but will allow the entire field to optimize for safety, consistency, ease of implementation, cost-effectiveness and patient access. I’m thrilled to have led the company’s Series B financing. Like the team behind Vineti, Canaan is diversified across both pharma and IT. Vineti fits squarely within our strategy of marrying our industry-specific pharma expertise with our tech experience on what makes a scalable, monetizable, leading-edge informatics company. And the proof of Vineti’s leadership is in their traction. Vineti and Kite Pharma (now a Gilead company) partnered to create a software solution for the commercial availability of Kite’s T-cell therapies. As such, Vineti is the only such third-party “platform of record” that enables an approved, in-market CAR-T product. After twenty months from inception to market implementation, at more than 40 leading medical centers, with further U.S. and international expansion in process. 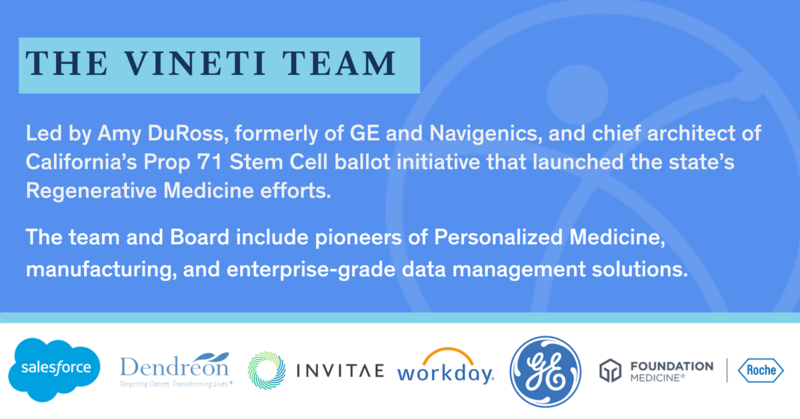 Vineti is also working with other leading cell and gene therapy developers not yet publicly announced and helping to integrate and connect key players in the Personalized Medicine ecosystem. These are life-saving, potentially curative therapies but to advance the science to achieve 100% cure rates and to solve the logistics to treat 100% of eligible patients, the infrastructure needs to be radically changed. It has taken the healthcare ecosystem nearly 10 years* to broadly transition to Electronic Medical Records – a transition that remains incomplete. 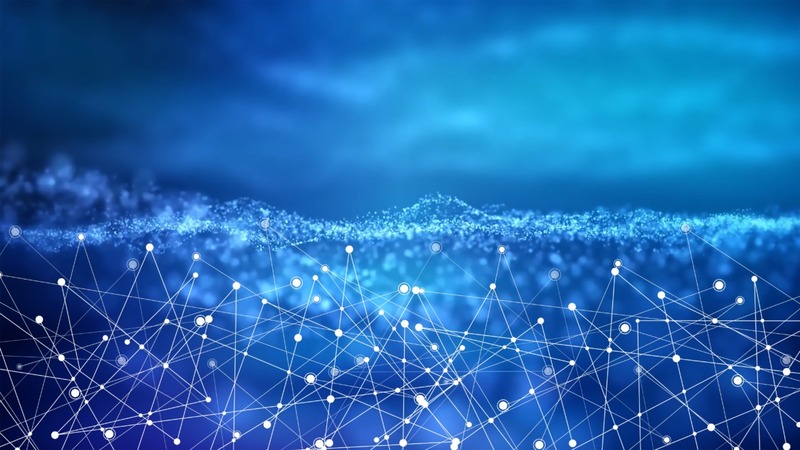 The transformation of health IT for Personalized Medicine much happen much more quickly – the revolution cannot succeed without it. More importantly, patients’ lives depend on it.